Most travellers visiting Dubrovnik arrive by plane due to its location at the very south of Croatia. 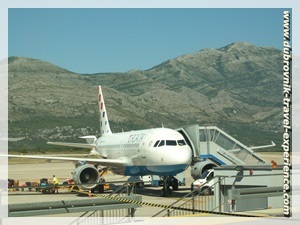 Dubrovnik Airport, which is connected to most European and worldwide destinations, is situated some 20 km south of Dubrovnik. The most convenient way of travelling from the airport to the city is to arrange your private car transfer. We suggest you to pre-book it via Rideways which offers a range of ground transfer options in the numerous destinations throughout the world. Once your plane is landed, your driver will meet you at the arrival terminal, assist you with your luggage and drive you to your accommodation.